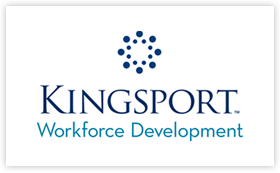 The role of your Kingsport Chamber’s Education program is to serve as a vehicle for business, community and education representatives to work together and have a meaningful and substantial impact on education in our area. Your Kingsport Chamber’s Education department develops programs that enhance academic learning and career preparedness of area students. We often hear from employers that they can’t find the qualified employees they need. We also hear those seeking employment are unable to find a job. Our goal is to develop programs to prepare these citizens with the skills needed to be the qualified workforce employers are seeking and to support programs that remove obstacles to higher education. Programs include TN/VA Scholars, 8th & 11th Grade Career Fairs, tnAchieves Mentoring Program, Advanced Manufacturing Camp and serving as a liaison for the Kingsport Academic Village and the Regional Center for Advanced Manufacturing. These programs create partnerships between business and education and serve as a springboard for a coalition to pursue improvements in other areas as well. It takes more than 100 volunteers to make this event happen each year. The Real Life 101 exercise helps students develop budgeting skills and learn to live within their means. Each student is given a scenario, for example, you are a welder with 3 kids and bring home X amount of money each month. The students then visit various booths Uncle Sam etc and make “choices” of what kind of car, house, entertainment, utilities etc. This event benefits students in Sullivan County, Kingsport City, Hawkins County, Washington County and Scott County VA. We will have approximately 1750-1800 students at this event. 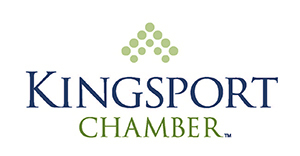 The Career Fair is a partnership between the Kingsport Chamber, Eastman and Junior Achievement.